Walkable communities that support healthy, active living could be the cities of our future. With a plethora of health issues plaguing modern society, developers and planners are increasingly designing well-connected, pedestrian-friendly communities in a bid get people moving again. According to the National Heart Foundation, insufficient physical activity is second only to tobacco smoking as the modifiable behavioural risk factor most associated with the burden of disease in Australia (1). With a sharp rise in sedentary lifestyles and associated diseases, walking has now become an international public health strategy. Last month, the U.S. Surgeon General released a call to action to promote walking and walkable communities. Titled Step it Up! 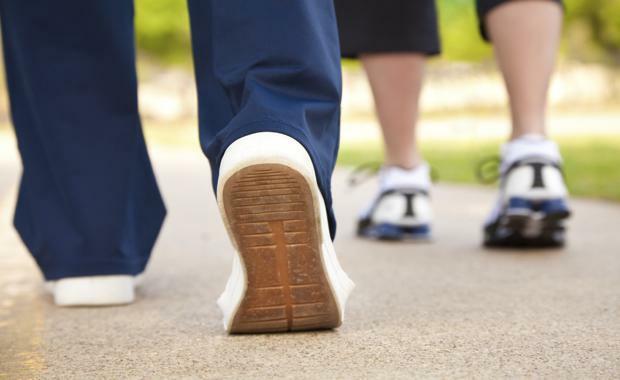 The Surgeon General’s Call to Action To Promote Walking and Walkable Communities, the document calls on people to be “more physically active through walking” in a bid to reduce the risk of developing conditions like heart disease and diabetes. One of the Call To Action’s strategic goals for the future is to design communities that make it “safe and easy to walk for people of all ages and abilities”. Wide sidewalks, street trees and active street frontages have helped the Mueller Town Centre in Austin, developed by Catellus Development Corporation, a successful walkable community. Active street frontages[/caption]Closer to home, Professor Billie Giles-Corti, Director of The University of Melbourne’s McCaughey VicHealth Unit, has conducted extensive studies on the pre-conditions that make suburbs liveable. Professor Giles-Corti said the health benefits of living in compact, pedestrian-friendly, mixed-use developments thought to promote walking were significant, with evidence of lower rates of obesity in areas where residents are less reliant on cars. The University of Melbourne is spearheading research in conjunction with the Planning Institute of Australia, the Heart Foundation, the Department of Health Victoria and the Major Cities Unit to consider the impacts of urban design on health, fuelling calls to make health a priority in planning laws. Continuum Partners' Belmar community in Colorado features a grid of 22 small city blocks, to create a flexible urban district. [/caption]Urban Designer of the Williams Landing estate Mike Day said there was an increasing acknowledgment in the industry that ‘walkability’ correlated to better health outcomes and increased resident satisfaction. Walking to a functional town centre and health centre helps residents avoid negative health side effects such as obesity and the isolation of the car-to-work-to-home lifestyle that afflicts many outer suburban communities. Williams Landing also caters to the significant portion of the population, those young and old, who don’t drive. “Walking makes for healthier communities because it connects people to shared public spaces,” Mr Day said. According to Walkable City author Jeff Speck, said there were a number of ingredients that were critical for creating a walkable city. He believed planners should: be less car-focussed; create neighbourhoods with a diversity of uses/ places to walk to; design communities that support public transport; create safe streets for pedestrians; welcome bikes; plant more trees on street; and create friendly and unique building facades to engage pedestrians. The Design For Walkability initiative also recommended that successful walkable communities should feature buildings oriented to streetscapes and open spaces; densely interconnected pedestrian routes and parking that was located beneath or behind buildings. Developed by North American Properties, Avalon is an urban neighbourhood featuring residential, office space and retail. Designers Wakefield Beasley & Associates, Site Solutions, Dwell Design Studio have created a highly walkable city with a 1.5-mile loop of walking trails; a retail district where the majority of shops can only be accessed by sidewalk; and a centrally located public plaza that can be accessed via all pedestrian routes. The community can be accessed via numerous entry points including roads, walking trails and bike paths. Williams Landing, a new community 19 kilometres from Melbourne’s CBD, features four residential neighbourhood areas framed around a mixed use town centre and sustainable transport hub. Designed by Cedar Wood Properties, Williams Landings' homes are all an easy walking distances to the newly opened medical centre, pharmacy and dental clinic as well as a large park, walking tracks and an outdoor fitness area. “We wanted to design a vibrant, self-contained community that offered most of the services and activities people needed within 10 minutes’ walk from home,” Victorian and Queensland State Manager for Cedar Woods Blackburne said. Mathers C, Vos T, Stevenson C. The Australia burden of disease study: measuring the loss of health from disease, injury and risk factors. Medical Journal of Australia 2000;172:592–6.